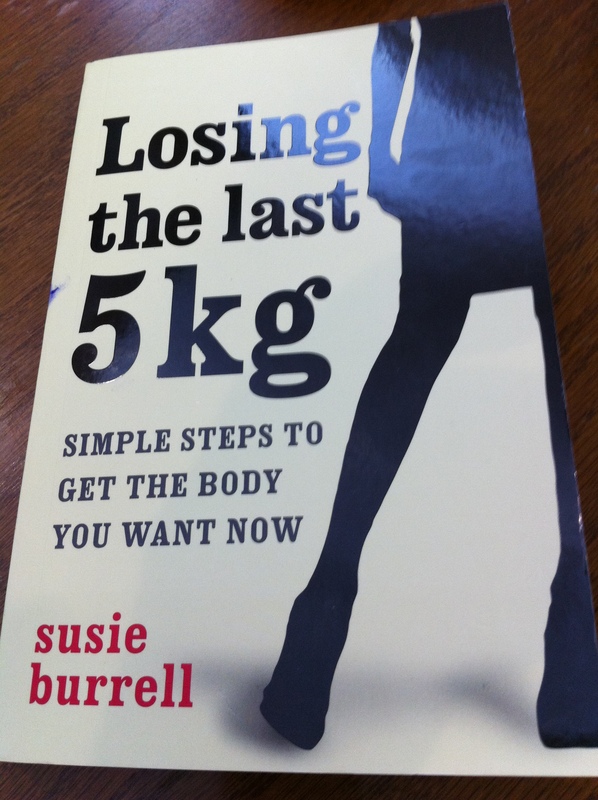 Dietitian Susie Burrell recently released a book ‘Losing the last 5kg‘ which I purchased considering that is exactly (well close to since I want to lose 6) what I have been trying to do for the last 5 months or so. I am only a 1/3 of the way through the book and I already have picked up so many great tips (so much so that I am going to have to read it again and highlight some parts so I can keep coming back to them). I will complete a review of the book and trial some of the recipes in it once I have finished reading it, however when I went to decide what to have for lunch yesterday I immediately consulted the book. While I really like the sound of the recipe for the Brown Rice Salad (on page 75 for those who have or do buy the book) I knew this wasn’t possible to buy from the food court so I consulted the section in the book ‘Learn to love salads’. As a coeliac I have definitely learnt to love salads as often they are the only gluten free items on the menu and salads can actually be really tasty (a note for all those that tell me ‘you don’t make friends with salad’). However as Susie says ‘a plain salad enjoyed at lunch without any bread, crackers or other form of carbohydrate may appear to be the most healthy, calorie-controlled option but remember that not eating adequate carbs throughout the day can leave you feeling unsatisfied and more likely to bringe later in the afternoon’. Knowing that you can make your own salad at Sumo Salad and that they label their gluten free options I went onto the website to find out what options were available. That is when I discovered a great tool whereby you can create your own salad and then save and print off the list of ingredients to take into the store. It gets better in the fact that all ingredients are labeled as to whether they are gluten free, nut free and/or vegetarian, it gives you the final price and tells you the nutritional content of your salad. 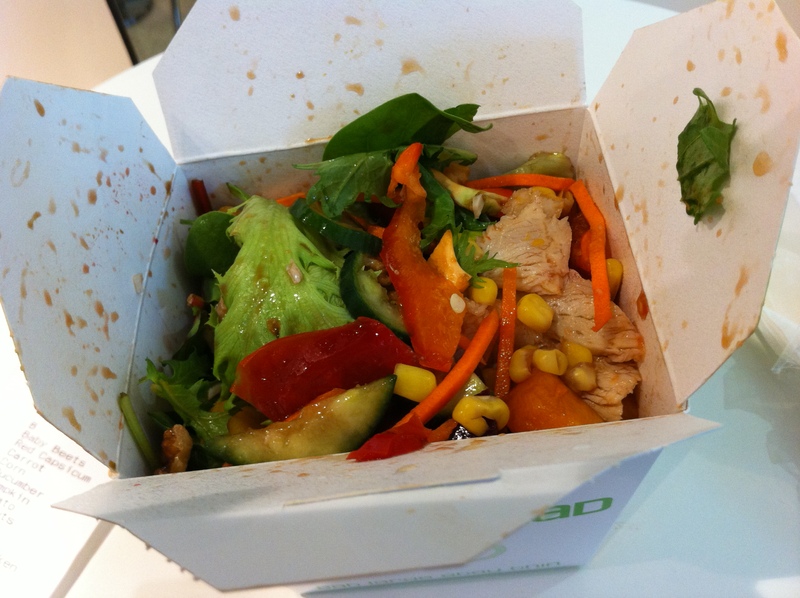 I therefore followed Susie’s 5 steps to make the perfect salad meal to create my salad on Sumo Salad’s website. Firstly I chose the mixed lettuce over the cos lettuce as the darker the leaves the better they are for you. Secondly, Susie says that the more brightly coloured vegetables you include the better the salad will be for you. Based on her suggestions I chose carrot, cucumber, tomatoes, beetroot, pumpkin and capsicum (the only thing I didn’t include that she suggested was celery as Sumo Salad don’t have it). Her third step goes back to the carbs idea I mentioned above and I chose to include corn in my salad for the carbs (she also suggests sweet potato or beans or having a slice of wholegrain bread or crackers on the side). Step four involves adding lean protein of which I chose chicken. Finally she notes that salad dressings, nuts and cheese may all be tasty additions but they are high-fat choices. She suggests aiming for just one of these additions remembering that olive oil and walnuts are the two best high-fat additions. I decided to add walnuts and balsamic dressing (however writing this post now I have realised that I probably should have left out the walnuts and just had balsamic dressing or olive oil). 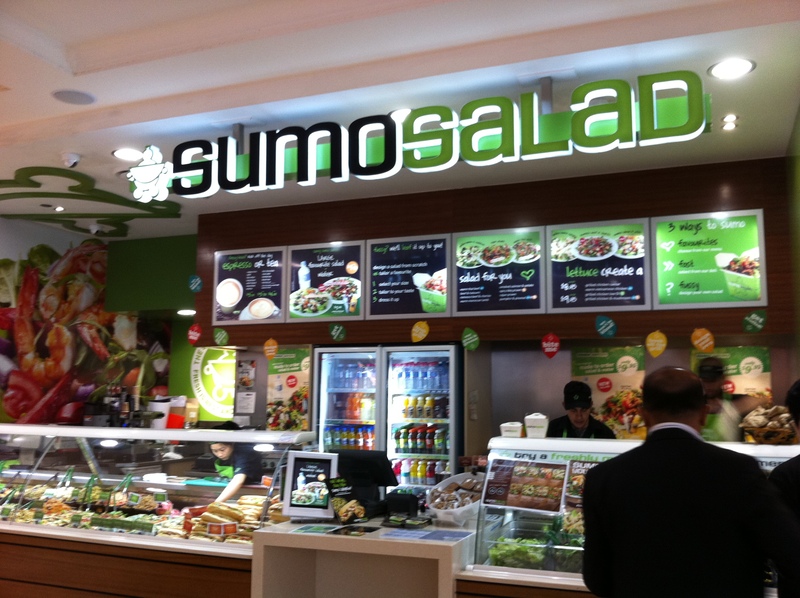 Once I had constructed my salad I printed it off and went off to Sumo Salad. The person who served me still had to enter the ingredients into the system (it would be great if the website linked up to the store system so you could just give your name or a code but maybe that’s wishful thinking!) however having it written down discouraged me from adding any naughty items like feta to my salad once I got there. It rung up at 50 cents more expensive than the online system had calculated however they didn’t charge me the extra 50 cents when I mentioned this which was nice! The salad was very tasty and kept me satisfied until my 3pm snack. Have you made friends with salad? I really like a couple of their salads – the chicken low gi and the lentil tabouli. yums!